Lani Morris has addressed the Meaning Conference in Brighton, UK 0n 14 November 2018 on the Map of Meaning. Kerry McGovern will be attending the Australian SDG Summit in Melbourne on 13 March. K McGovern & Associates’s Kerry McGovern contributed to the drafting of the New Urban Agenda on behalf of EAROPH. This underpins Goal 11: Sustainable Cities. The biggest challenge facing Australia (and we are facing many intriguing challenges) is to drastically reduce our consumption of physical goods while strengthing our economy so we can achieve Goal 12. But all goals are to be achieved in an integrated manner. We can’t ensure affordable energy while destroying the water that sustains fish stocks and tourist income while destorying forest cover. Getting the balance right across all levels of government, the private sector, civil society and the household sector is our aim. Want to help? Kerry McGovern and Kieren McGovern both attending. Kerry speaks at the IFHP (International Federation for Planning and Housing) networking event Friday 3-5pm. The NUAConference was held in Melbourne on 4th and 5th May. Kerry McGovern and Penny Burns copresented a session to get us all focused on how we are going to implement the New Urban Agenda in Australia. The conference was refreshing with good discussion about a topic new to most of those attending. Architects, planners, economics, social housing workers, planning bureaucrats, local government representatives, clients, accountants, engineers, members of parliament and others worked together to grasp what implementing the NUA in Australia will require. It will be implemented as part of working to achieve the sustainable development goals. This website was hacked with a weird message and visuals appearing. In fixing it, we’ve had to delete a lot of the extras on the website, including the ability for it to adapt to mobile phones. Since then we’ve been working, slowly, to build a new website. We are still working on it. So stay tuned! The Eastern Regional Organisation for Planning and Human Settlements (EAROPH) was a contributor to the document. Kerry McGovern represented EAROPH at the Huariou Commission’s expert working group on engendering the New Urban Agenda. She then attended the General Assembly of Partners (GAP) meeting where EAROPH took responsibility for coordinating feedback from GAP members on Issues Paper 7 Municipal Finance and Issues Paper 12 Local Economic Development. The draft outcome document is the result of a huge collaboration of nation states, local and sub-national governments, civil society, independent experts and the UN. K McGovern & Associates is proud of its contribution to the New Urban Agenda and values the partnerships generated during its preparation. 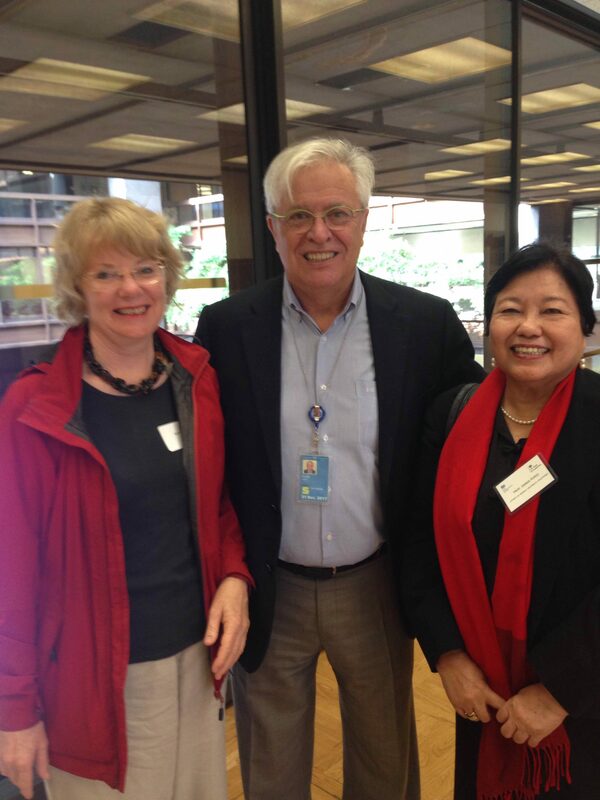 Kerry McGovern, Public Sector Governance, Asset and Financial Management Specialist with Dr. Joan Clos, Executive Director of UN-Habitat and Prof. Emma Porio at Ataneo de Manila University. What can woman bring to Habitat III? Habitat III is the United Nations Conference on Housing and Sustainable Development, to take place in Quito, Ecuador, from 17 – 20 October, 2016. EAROPH has been asked to provide input to the Expert Group Meeting on Women and the New Urban Agenda. 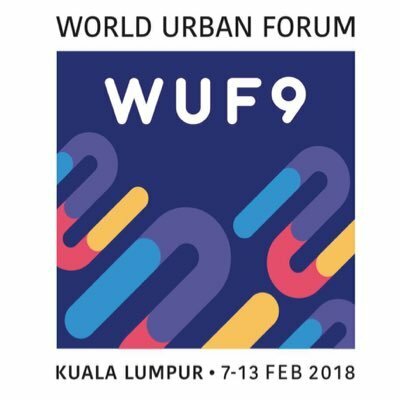 UN Habitat is seeking women’s perspective on urbanization. Women hold up half the sky and build communities in which our families can prosper. The challenge of accommodating the huge movements of peoples, from climate change affected areas and from war-torn areas, is leading to quick responses. In our haste are we sacrificing our communities and all they bring to us? Internally displaced peoples have children who require education. Refugees need to build solid futures for their families. Rural people move to cities to take advantage of infrastructure and services and to get jobs. But none of us want to arrive at our destination as isolated individuals. Firstly, we all are part of a family, however fragmented, however dispersed across the Earth. And our contact with our families feeds our soul. Secondly, we are part of a local community. Locally we grow food, engage with the earth and each other, sharing the produce of our labours and our talents. We nod greetings at each other. We eat and dance together. We cry and laugh together. These community activities build skillful people, resilient people. Thirdly, we are part of a nation or a state from which we get our identity. For some the history of our family creates a tribal identity. For others, whose family melded down the generations, we bring our dreams for the future. It is in sharing those dreams and those stories, that we express our humanity. It is in listening to others’ stories that we demonstrate our wisdom and our generosity. Lastly, we are humans among an infinite number of lifeforms on Earth. We co-habit within the natural world. From nature comes all our knowledge, the air we breathe, the water we drink and wash in, and the food we eat. And to nature we provide waste that it recycles. Bringing all this together in providing housing and sustainable urban settlements so that not only the cities are resilient into the future, but our Earth is enriched by human input is the challenge of Habitat III. EAROPH is providing input to the Huairou Commission’s expert group meeting on Women and the New Urban Agenda on 29-30 September 2015. The human race, without its opposable thumb, would not have evolved. With only four fingers, the hand is not confident. Economists and political decision-makers sometimes forget this and, in using “measurement” to determine advice, delude themselves that their proposals are whole and effective and are not a chimera. Politicians innately understand this, yet find it difficult to argue against a Treasurer or Finance Minister briefed in the numbers and estimated impacts of decisions. Do not get me wrong. Those who ignore the numbers and the facts (like a hand without a thumb) are doomed not to evolve. Ideas, based on the agreed “facts” that lead inevitably to destruction need to be questioned. The technological revolution has put “facts” in everyone’s hand, and the balance has tilted to a fascination with “evidence-based decision-making”. The marketers of our products have led us to believe we are making decisions with reference to evidence. But this is not necessarily so. One example was explained when “The Lancet Commission on Culture and Health” (The Lancet, 384(9954), 1607-1639) [iii]was launched with the conclusion that the “systematic neglect of culture in health” is the greatest barrier to achieving the highest attainable standards of health globally. If the efficacy of medical science is limited by the current culture, could it be more generally stated that it is not the thumb alone that makes us human, but our ability to coordinate our thumb with our four fingers and all that represents? We evolved to be humans when our ancestors used their thumb to throw and to club, with, it is asserted, “the best throwers and clubbers rising to male dominance hierarchy” [iv]. Now it is the throwing of, and clubbing with, ideas that determines the hierarchy. This is reflected in government, business, civil society and in households. With computers government are now able to collate and report more “facts” than ever before. Yet if it is the culture that poses the greatest barrier to achieving the highest attainable standard of human society, how do we test the efficacy of public decisions? The “outcomes” sought by governments are being dissected and measured. Anything that does not succumb to measurement, or can be adduced to be “facts”, tends to be declared invalid as more elusive influences are not convenient to our economists and political philosophers. Our dreamers, who create a future not considered possible within the confines of the agreed “facts” at any one period of time, are being ignored. Our collective means to move forward safely, like our use of our physical hands, require coordination of all aspects of life; culture, society, nature, dreaming and economies, if we are to create a system more favourable to peace and hence worthy of our investment. To achieve this we have to balance our hierarchies by admitting the dreamers, not just to provide comfort and diversion, but to create the possibility of a peaceful future[v] that contains as yet unimagined facts. [i] Brunton, Paul ([Ed.] 2004, “The Diaries of Miles Franklin”, Allen & Unwin, p 64. [ii] Keynes, J.M. 1936. “The General Theory of Employment, Interest and Money” from “The Collected Writings of John Maynard Keynes, Vol VII”, Macmillan, London, pp 394-5. [v] This step is already being taken. See, for example, Security Council resolution 1325.